Following tough competition for the Louise Hartley Scholarship Fund, Farmers Guardian is proud to announce the five finalists. A raft of fundraising took place during her illness and has since continued, prompting the launch of the Louise Hartley Memorial Fund. 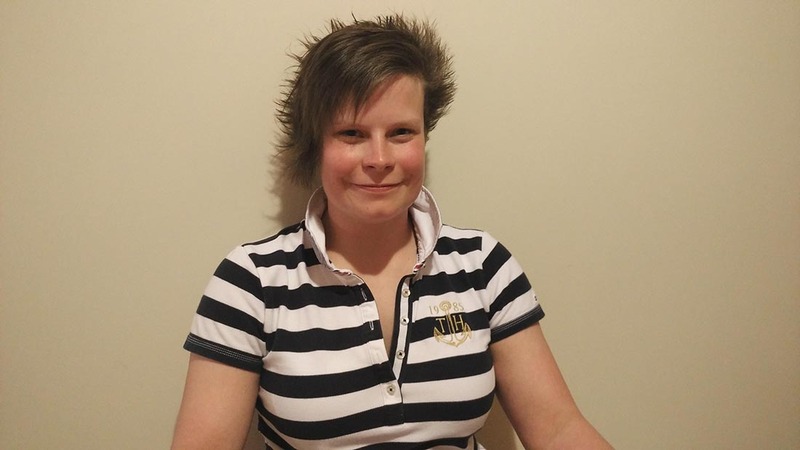 The Hartley family now want to help a young person with an interest in livestock farming, a sector Louise felt very passionate about, to develop their career and interviews will be carried out over the next two weeks. Each of the finalists will be invited for an interview with Farmers Guardian, where they will be asked to deliver a five- to 10-minute presentation about themselves and how they will spend the scholarship fund. This will be followed by questions from our four-strong judging panel, comprising Louise’s mother Sarah Hartley and brother Ben, Norbreck Genetics owner Phil Halhead and FG’s head of features Danusia Osiowy. Despite being a dairy farmer’s daughter, it was not Hannah Edwards’ intention to get into dairying, but a family tragedy sparked a change of direction. Helping out her five brothers managing the 100-head herd, she had set her sights on completing A-levels and attending veterinary college. Leaving college with low grades, she admits she lost all direction as she found a job as a herdsperson on a local farm. Although she resat her exams, Hannah enjoyed working with cows and undertook more responsibility, before returning to the family farm to work alongside two of her brothers to establish a second dairy herd. Cow numbers are now at 350, split across two units, with her attention placed on pedigree breeding. Hannah wants to develop ice cream and create her own unique provenance. She says: “The recent loss of my father has been the push to make me want to look to the future.” The scholarship fund would enable her to travel to Europe to look at the breeding and genetic traits required to make the best ice cream. 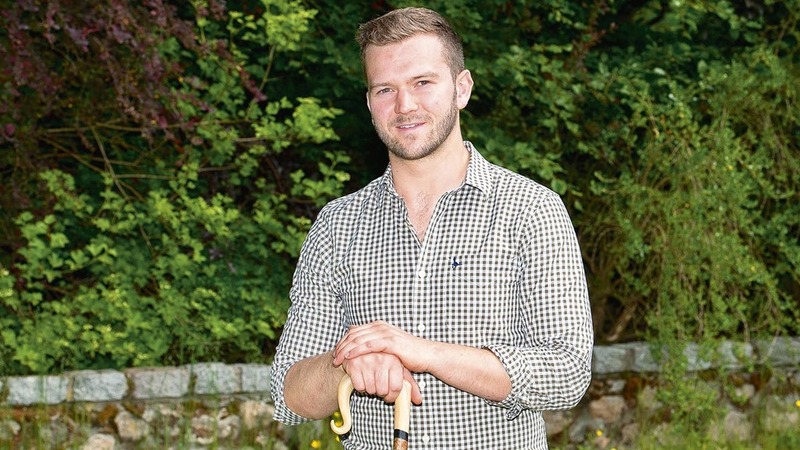 “My aim is to start my own herd and produce and sell top-quality ice cream. With this scholarship, I believe I could make this dream a reality. “I would also like to travel the country using my writing and presentational skills to promote the scholarship.” A member of Alberbury YFC, Hannah is an avid fundraiser. It is fair to say Rory Gregor has been dealt enough blows in his 25 years. Last month was two years since he had 31 in-lamb pedigree Beltex ewes and recipient ewes stolen from a field a week before they were due to lamb. The batch of first-cycle lambers was the backbone of the flock, which he had built himself from age 10. Rory did not give up and rebuilt the flock, achieving showing successes in the pedigree Beltex sector. Working under the Gregor’s Beltex prefix, he runs 30 ewes, 40 Beltex cross Texel ewes and 80 Mule ewes. Last year, Rory was involved in a serious road traffic accident, suffering two skull fractures and bruising to the brain. His six-month recovery placed pressure on his business, as he was not allowed to drive and his livestock is on rented land in a 30-mile radius. 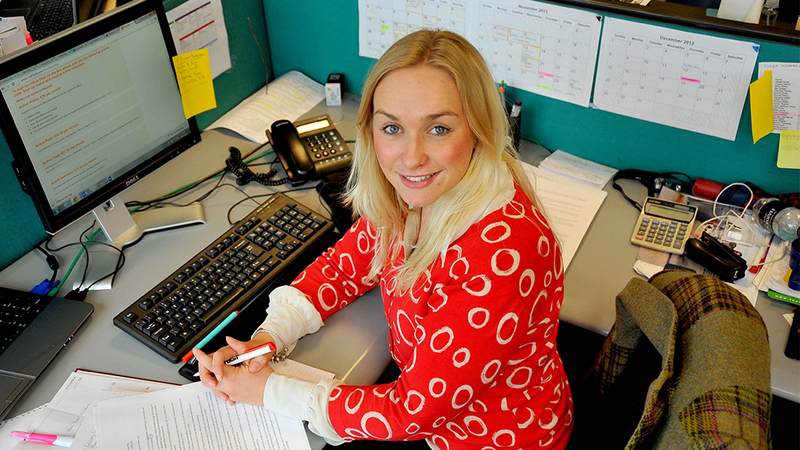 On January 1 this year, Rory finished full-time employment as a senior structural engineer after nine years. He says: “I decided life was too short and could be taken from me at any point, so it was time to follow my passion.” After attending a sheep pregnancy scanning course, Rory has invested £15,000 to start this sector of his business, which he runs alongside self-employed farm work. The scholarship fund would be used to expand his scanning skills and equipment to enable him to carry out bovine scanning and training in sheep shearing through a New Zealand visit. Third-generation dairy farmer Tom Hull wants to follow in the footsteps of his grandfather and father and manage the family’s home farm. Having been interested in dairy cattle from a young age, he has become involved with the breeding programme and selection of sires used within their herd, thanks to the encouragement of his father. Tom says: “I am particularly interested in genetics, as I see this as the way forward, not only for breeding cows fit for purpose for the dairy industry of today, but with a view to improving herd health and eradicating negative traits in the breed. It is my ambition to one day be able to breed a national Holstein winner.” A regular on the showing circuit, he has competed at national level of Holstein Young Breeders and on behalf of Winmarleigh YFC, both locally and nationally. 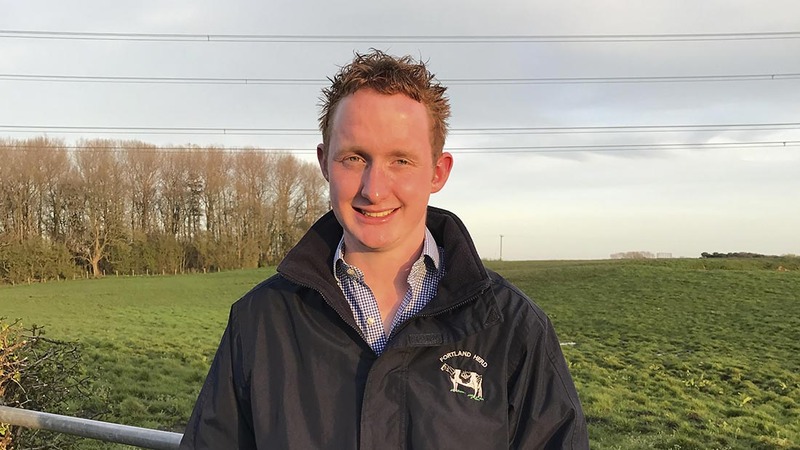 Having recently finished a three-year extended diploma in agriculture at Reaseheath College, Cheshire, Tom is taking a gap year from study and has spent three months working in Holland with Nico Bons of Bons Holsteins. He says: “This has been an invaluable placement and I have learned many new techniques, methodologies and systems I would not have been party to at home.” He would like to continue his studies and the scholarship would fund the cost of a course he could undertake with World Wire Sires at its Global Training Centre, America, to do dairy herd management. Tom is keen to travel to the World Dairy Expo, then meet American and Canadian Holstein breeders. 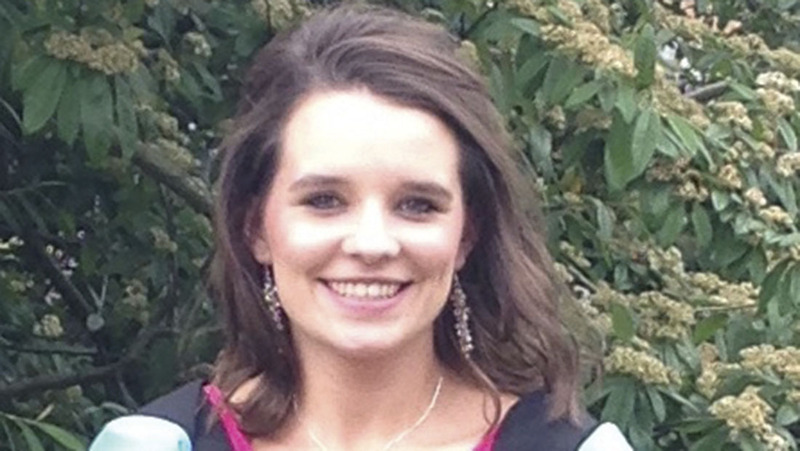 As a final-year student at Harper Adams University, she is focusing her research project on genomics within the beef industry. She says: “I feel such advances in new technologies will become of great significance and will be a key driver for efficiencies. She says: “Adopting some of the practices in genetic technologies and reproductive management would be beneficial to my own small herd. “My brother and I want to continue to show our herd and my travelling experience can only help us achieve the best we can.” An active member of Middlewich Young Farmers, Jessica has undertaken various roles, including stockjudging captain and chairman. She has also been a member of the Young Limousin Breeders Club since the age of 15 and has won at various national stockjudging events. For Charlotte Watkins, visiting and learning about New Zealand’s farming industry has always been a personal dream. 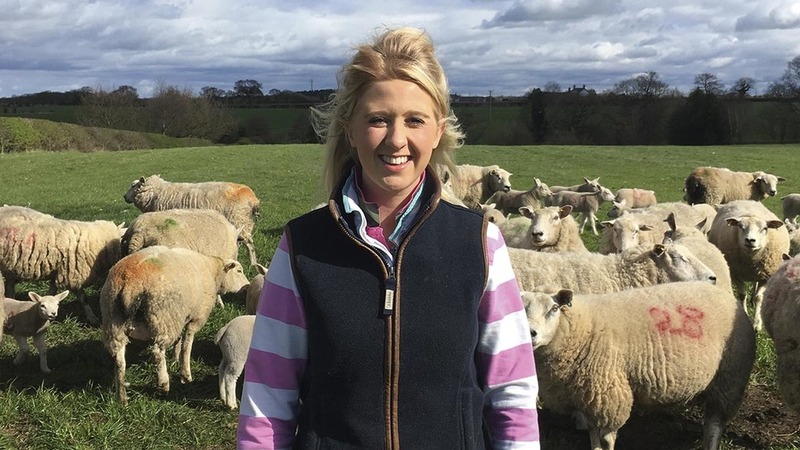 Hailing from a family farm in Herefordshire, she plays an active role in their flock of 200 pedigree Texels and is a member of the Texel Sheep Society. She is part of the national Texel Youth Programme and is involved with the South Wales Texel breeders club, where she was chosen to represent the club at the 2013 Young Texel Breeders weekend, Co Antrim. The scholarship fund would facilitate a number of visits to farms in New Zealand and visits to Texel stud farms to look at breed development. She is keen to implement findings back into her career after she graduates in veterinary medicine. “The scholarship would help me pick up techniques and methods which can help improve productivity and profitability of British farms. I would like to put into practice what I learn about Texels into our own flock. “I believe it is important to understand both your national and international industry inside out so you can provide your clients with the best advice and care possible. “I have chosen to visit New Zealand as I believe it to be a world leader in agriculture and it has lots of ideas which are relatable to our industry.” Charlotte is an active member of Craswall YFC and has won national young stockjudge of the year, lamb stockjudging at various winter fairs and was highest placed chairman at the national junior public speaking. Previous: "I like cattle and sheep- it's what I am used to"